The wine is cheaper… and better too. As usual, the East Coast is having a moment right now when it comes to low prices on flights to Europe and both Madrid and Barcelona are in. New York and Boston are offering the absolute lowest prices, with great deals also avail from Los Angeles, Miami and Chicago all under $350. Before you assume these deals are on budget airlines – they’re not – they’re on American, Iberia or Delta, which is amazing at these prices. The very best deals are available in fall, when Spain is the perfect place to escape. All the peak tourism is out of season, and that means hotels are cheap, the best restaurants aren’t crazy full and the Mediterranean weather is still absolutely lovely. If you want the lowest prices, look for flights from October 2019 thru February 2020 for Tuesday through Thursday departures. Don’t worry, we made links for you anyway. One week stays seem to bring the lowest prices. You want the lowest prices with the least effort, and that’s fine, because we got you. Here are links to Google Flights where you can play with dates and lock in the lowest prices directly with your airline of choice, like..
$258 New York to Barcelona. $288 New York to Madrid. $325 Los Angeles to Barcelona. $380 San Francisco to Barcelona. $408 Washington DC to Barcelona. Ok, go forth and enjoy! 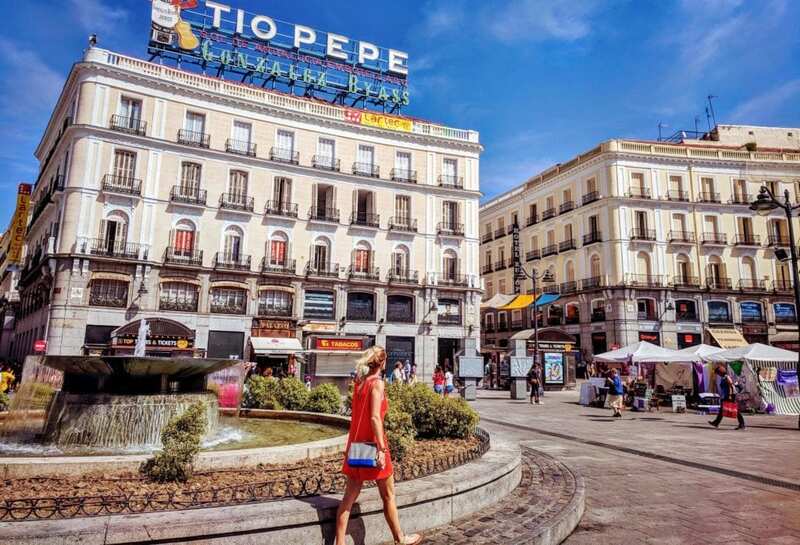 Here’s how to decide between Barcelona and Madrid, here’s how to spend 48 perfect hours in Madrid, and here’s a cool company that just might be better than Airbnb, and saves on great apartments in either city. The more you know, right?